When most people think of baby showers, they don’t usually think of adoptive parents. But new adoptive parents aren’t all that different from other new parents. They face many of the same challenges and responsibilities, whether it be around-the-clock diaper changes, midnight feedings, sleepless nights, or just getting through the day in one piece. However, they also have to deal with a myriad of issues unique to adoption ranging from bonding to birthparents. Chances are, they could really use an adoption baby shower! 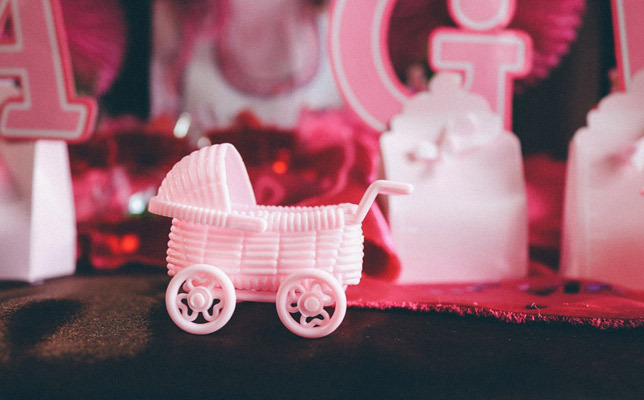 Baby adoption showers are a way for new adoptive parents to celebrate their placement. But they’re also an opportunity to welcome a child into their home and introduce their new addition to family and friends. As with any big event or get-together, a bit of planning beforehand can help avoid unnecessary pitfalls and ensure that things go off without a hitch. Here are some tips from adoption consultant Nicole Witt on how to throw the perfect adoption baby shower. Planning an adoption baby shower can be tricky. The first thing you need to do is consult the adoptive (or adopting) parents to determine when is the best date to hold the shower. Do they want it before their baby’s birth, just like other mothers-to-be, or after the revocation period, once they’re confident that their baby is there to stay? Whatever you do, don’t surprise them! And since adopting a baby is a team effort, don’t forget to get the adoptive father’s input and have him join in too. This information is standard for most baby showers. But in the case of an adoption baby shower, you need to be sure to highlight it beforehand, especially if the child is not joining the family as a newborn or the shower takes place after the placement period. As far as gifts go, clothing is always a popular choice. But if the adoptive parents request it, be prepared to scrap the clothes and donate to their adoption fund instead. Parents who bring a child into their home through adoption need to honoured in a sensitive way. In some cases, their battle with infertility may still be raw and frustrating. As a result, avoid a pregnancy-related theme to your event. Instead, opt for more generic baby decorations or one based on the adoptive mother’s favourite storybook or movie character. Adoption is a complicated issue. Thanks to open adoption, it’s a lot different today than it used to be. Families come together is all kinds of ways and can have ongoing contact after a placement. Adopted children know their adoption story and often keep in close contact with their birthparents. No two stories are alike. There are still a lot of myths and misunderstandings surrounding adoption. Use the opportunity to educate your guests about how the process works today and the importance of using adoption-positive language (e.g. “place a baby for adoption” vs “give up a baby for adoption). Send them links to helpful stories about private adoption or to the parents’ adoption blog if they have one. Adopting a baby is a personal journey that is unique to every family. Just because you may know the general outline of their story doesn’t mean that you’re entitled to pepper the adoptive family with endless questions about it. It’s no different than creating a biological baby. You wouldn’t pry into a couple’s story how they got pregnant. When adoptive parents are ready to share details about their adoption and the birth family, they will. Until then, take your cues from them and focus on the baby, not the adoption. Everyone knows about or has heard an adoption horror story. Some are true, but many are different than the way they’re depicted. That said, if ever there was ever a time not to share your adoption horror stories, it’s at a baby adoption shower. No parents wants to hear about all the things that could go wrong with her baby or have to answer rude and insensitive questions about their baby’s birth family. Just as with any biological child, there are no guarantees. Enjoy the moment and let the future take care of itself. You would pamper any new mom, so why not pamper a new adoptive mom? The fact that her family was formed differently than other families is irrelevant. Like any excited mother or mother-to-be, she has been looking forward to this day for years and overcame all kinds of obstacles to get there. Fuss over her the way you would over any other new mother and let her soak in all the joy and excitement that the day brings. And since she’s likely not breastfeeding, talk to her about adding a bit of alcohol into the mix too. If it’s an open adoption, find out if you should invite the baby’s birth family. Birthmothers and grandmothers sometimes attend adoption showers. Find out from the adoptive mother beforehand about the closeness of their relationship and whether she feels comfortable having them take part. Be flexible. Sometimes an open or domestic adoption placement can change on a dime. For whatever reason, it may not take place as planned. Be ready to adjust the date to one that works for the new adoptive mother and remind her about it. She’ll have a lot of things on her mind and some of the details may slip through. Have fun. We didn’t think we needed to add this, but a lot of people don’t know what to make of open adoption and may not know how to act when they arrive at a shower. Enjoy the event with all of the fun and games you would at any baby shower, keeping in mind some of the special points mentioned above. An adoption baby shower is a great way to welcome a baby into an adoptive family. Of course, if the child is older or adopted internationally, there are other ways to commemorate and incorporate those details in the event. And given everything the adoptive parents have done to get to that day, you can be sure that they’ll enjoy it every bit as much as you will. Do you have an adoption baby shower or other adoption story? Share it with our community. Choosing Adoption For My Baby: Am I Doing It for the Right Reasons?